Don’t Miss Out On These Fun Items at our 23rd Annual Toast for Hope Gala! Home /Events / Don’t Miss Out On These Fun Items at our 23rd Annual Toast for Hope Gala! Our 23rd Annual Toast for Hope Gala (Wild Wild West Theme) is only five days away! Theme attire is highly encouraged but not required. We advise our guests not to dress in Native American attire to respect their heritage. Guests are to arrive at 6:00pm, program begins at 7:00pm, dinner will be served at 7:30pm. 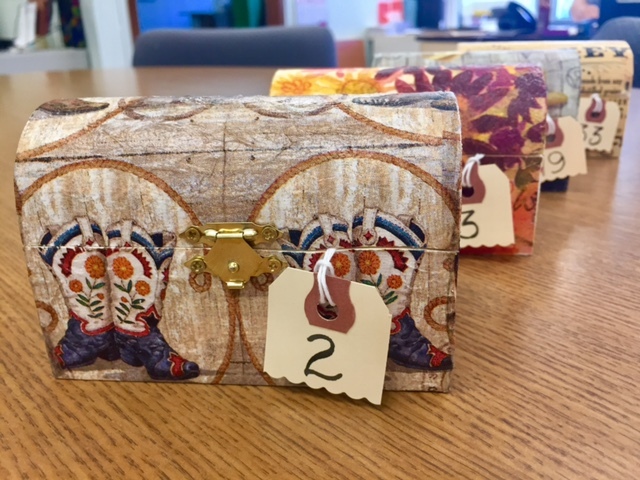 You don’t want to miss out on some exciting fundraising opportunities for Hope Hall that we have planned for this year’s Gala… We will have 50 Hope Chests hand decorated by our extremely dedicated Toast for Hope Gala Committee and filled with a surprise quantity of gift cards to local businesses. Each Hope Chest is worth at least $75 and no more than $160. The starting bid for each chest will be $50 with a minimum bid to raise of $5. All of the gift cards included were donated by our fabulous Gala Gift Gathering Party donors. We will also have a Hope Hall Signature Cocktail to be served at the cash bar at the event. Signature Cocktails will be $15 each – $5 of the cost per drink will be donated to Hope Hall School’s Tuition Scholarship Fund. The RSVP deadline for the Gala was Friday, October 6th. If you have not sent in your guest names, meal choices, and payment you have until 3:00pm tomorrow, Tuesday, October 17th.